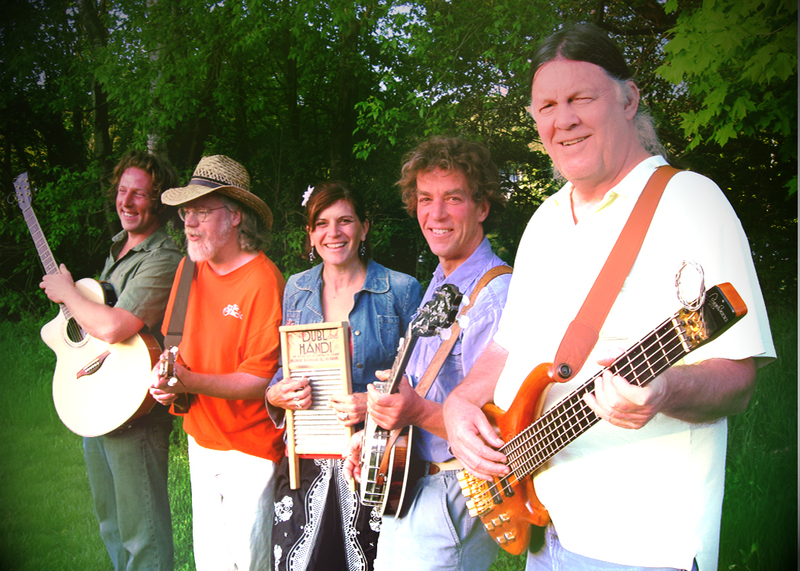 We’re looking forward to Friday, April 18, when The Bondville Boys, an eclectic, edgy bluegrass band, will play a concert and dance at the River Garden from 7 to 10:30 p.m., as a benefit for Strolling of the Heifers! The River Garden is our headquarters in downtown Brattleboro, and we’re raising funds for renovations and improvements including air-conditioning and a demonstration kitchen. 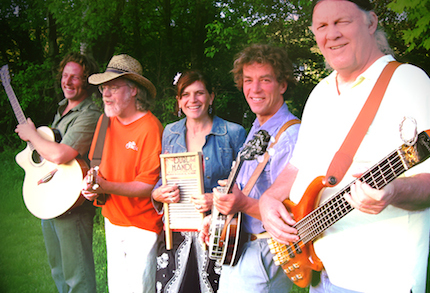 The Bondville Boys, so named because “some of us are from Bondville, and some of us are boys,” consists of Jake Geppert (banjo, guitar and vocals), Tom Morris (guitar and banjo), Laura Molinelli (guitar and vocals), Dennis Fink (bass and vocals) and Ben Campbell (guitars, mandolin and vocals). Popular throughout western New England since 1990, the Bondville Boys have shared stages with Del McCoury, the Nashville Bluegrass Band, Buddy Cage, and the Gibson Brothers, among others. The group currently has two live records with a new studio album coming out in the spring. The Bondville Boys play a huge assortment of music, including a ton of original tunes and everything from Flatt and Scruggs to Blondie. Tickets are $10 per person, with a family cap of $30. There will also be a 50-50 raffle, and light snacks will be served. By the way, for Strolling of the Heifers members, admission is $8, and annual memberships will be available at the event. They’re $40 for individuals, $60 for a couple, or $100 for a family. And then we have rarified levels all the way up to $2,500 (the “Holy Cow” membership level), if you’re so inclined!